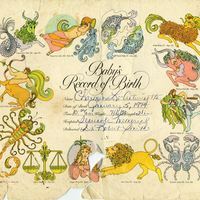 Certificate for the birth of Charmion Le'Antwinetta Holt (1974- ), the daughter of Patricia Ann Black (1956- ) and her first husband Clint Holt (1955-). Charmion was delivered by Dr. Robert Smith on January 5, 1974, at Seminole Memorial Hospital in Sanford, Florida, which was located at the corner of East First Street and Mellonville Avenue. Her mother, Patricia, was 18 years old at the time that Charmion was born. At present, Holt is employed at the Miller Orlando Ale House, located at 50 Towne Center Circle in Sanford, Florida. She also owns a catering business called Charm's Catering. 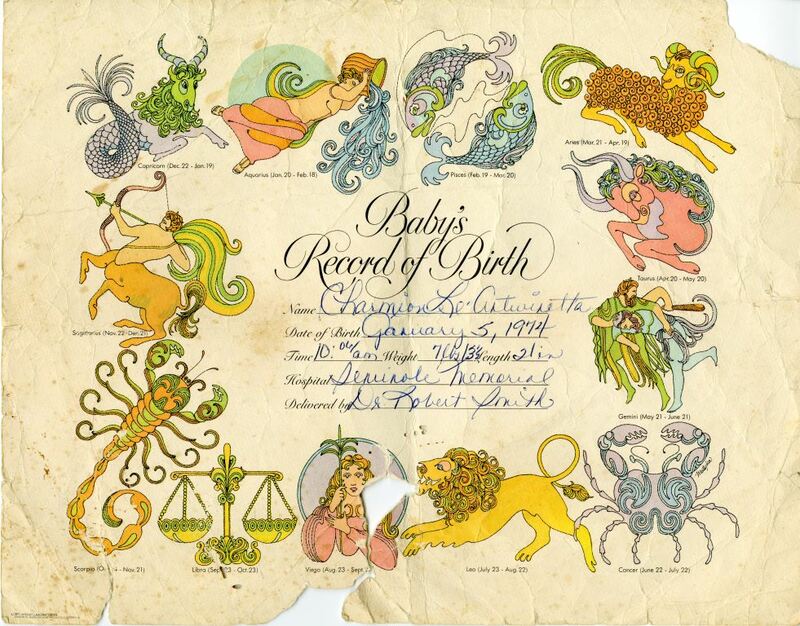 Original birth certificate, 1974: Seminole Memorial Hospital, Sanford, Florida: Private Collection of Patricia Ann Black. Digital reproduction of original birth certificate, 1974: Seminole Memorial Hospital, Sanford, Florida. Originally created by Seminole Memorial Hospital and owned by Patricia Ann Black. Copyright to the resource is held by Patricia Ann Black and is provided here by RICHES of Central Florida for educational purposes only. Flewellyn, Valada S. African Americans of Sanford. Charleston, SC: Arcadia Pub, 2009. Weight 7 lbs. 13 oz. Sanford Memorial Hospital. “Baby's Record of Birth for Charmion Le'Antwinetta Holt.” RICHES of Central Florida accessed April 20, 2019, https://richesmi.cah.ucf.edu/omeka/items/show/2665.